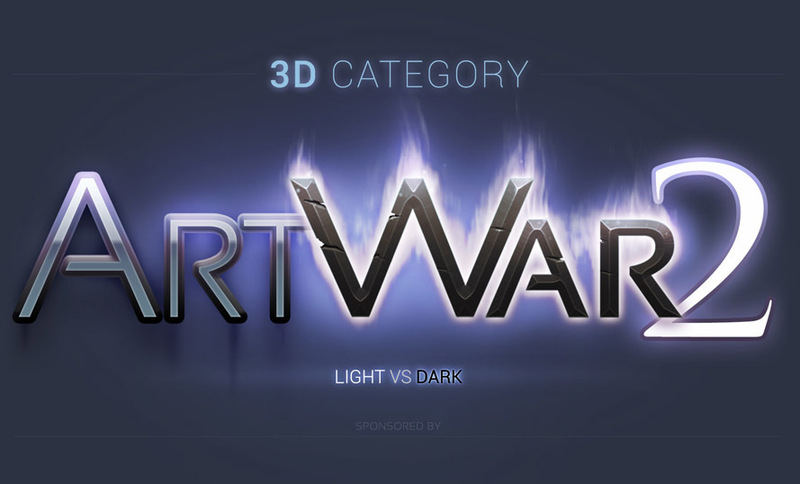 Competing in the 3D category? You're in the right place. Competing in the 2D category? This way. This is THE image to display your character in all its glory. The character has to be 100% 3D, but the background can be whatever you want. Use our Marmoset embedded viewer to show off your character or embed your Sketchfab model - this will be used for judging. The .mview for Marmoset file has a 20mb size limit. If you are not uploading your model using the Marmoset viewer or the Sketchfab embed, include this sheet in your final submission. This should include both the front and back of your character in a T-pose as well as close-ups of interesting details and areas we can't see well with the Final Image alone. Squeeze everything you have into this one sheet. Woo!! My Kind of War!!! I'm going Dark for this one..
Would it be ok to depict my 3D character sitting on a 3D throne as I see it important for the overall feel and understanding of my character? @matteo yes it would Props and backgrounds are fully up to you! Excuse me, I know you have asked a lot of that but I would like to be totally sure. I am not entering from an eligible region but I have a family member close to Nashville. So would it be fine? @luis2art if they are willing to receive the prizes for you if you win, then yes, it's all good. It´s enough to upload the final image AND the marmoset toolbag file? So in that case we don´t have to show the character standing in a A/T-Pose from front and behind, right? @matteo yes, that is correct. Good evening. I have an odd question. For my final image, could it be a picture of a 3d print of my model? Its technically 100% 3D just in a 3d print. Thanks for your time. that is the name of your topic. You have to make your own topic with that as it's tittle top enter and post your progress in. Negative, part of the challenge is how you handle textures, render/post effects and polycount to create the final image. Yes, as long as the companion doesn't take the spotlight away from your main champion in the piece. It would be better to post this image in your own topic. Also, just because the beast is big, it doesn't mean the main character can't have the spot light in the final. It all depends on how you compose the final shot. The contrast of details will be important. The main character will have to be more defined than the companion. Too not flood this topic, we could continue this in your own created topic. Best of luck on everything. I joined Artwar on dec8, 2017. This is one month since I haven't posted anything due to my illness. And my post is at the bottom of the list (I think). Should I start a new topic? Should I start posting my WIP on the previous post? ?